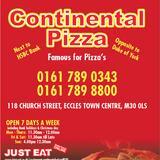 Did you know you can now order your Just Eat takeaway from Continental Pizza here on View? Do you work at Continental Pizza? What did you think of Continental Pizza? Well recommended. Pizza's are fantastic. Will use again. me and my boyfriend got a doner kebab last night we have not both stop being sick and having the runs will never order from here again ! 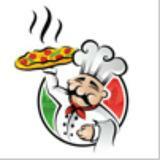 Best food in Manchester!! Amazing quality of food!Food was spot on which was the main thing for me but also very friendly staff. Seriously well recommended, good value for money Thanks Continental!! !